I've seen these frozen yogurt shapes on several blogs and keep meaning to make them. F&B and I finally remembered to do it and they are adorable. 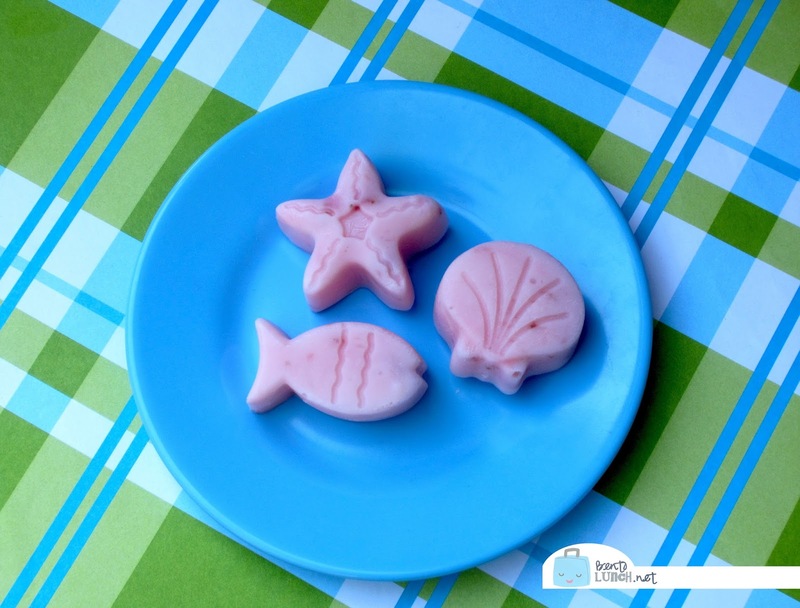 Just grab your favorite silicone food mold (can be an ice cube tray or a baking one). Fill each one with your favorite yogurt--we used strawberry--and freeze. When frozen, pop them out and eat them up. Alternatively, you can let the sit on the counter for a few minutes and they have a nice icy yogurt texture to them, or you can pack them in a lunch. While they won't hold their shape as well, they will help keep the rest of the yogurt colder. Love that, thanks for sharing, we'll definitely try that at our house! States, Canada and the Runescape Gold u. s. states, England, France, Ireland in europe, Netherlands, Australia, New Zealand, Norwegian, Norwegian, Finland, Denmark, The country, Brazil, Brazil, Local native indian native organization according to JaGeX Indicate - Thomas edison, the former us president said, , the next stage will be in Malaysia, Singapore and other Southeast South Cheapest WOW Gold eastern asia set up the support position.